Wang Shuqi (2nd year): "Computer Science at Acadia University is welcoming to everyone who is interested in computer technology. I am so happy here. Wolfville is a peaceful and beautiful place to live in. I have learned computer programming, and I have discovered many other things that excites me about computer science. 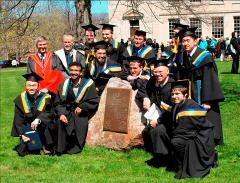 I love Acadia, and I love Wolfville." Zhang Haiyi (Associate Professor): "I have been working in the School of Computer Science for about 8 years. 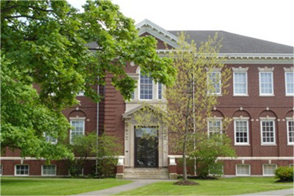 It is a great place for study and research. 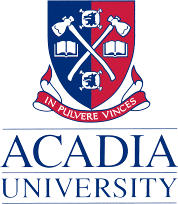 I am very proud of Acadia University and it has been in top three universities for 18 years among primary universities in Canada. No matter what season is there always are many activities in the town and university. I really enjoy working and living in this scenic beautiful place." Dr. Haiyi Zhang coaching the Acadia ACM computer programming team.